Most John Abbott College students are familiar with TED. They could have been assigned to watch one of their talks as an assignment in Phys Ed or Humanities. They might wake up on Saturdays to notice their parents enjoying the Ted Radio Hour on CJAD 800. Or maybe they’ve come across a TED Talk video on YouTube while procrastinating an English essay. All this to say, TED is definitely a household name. 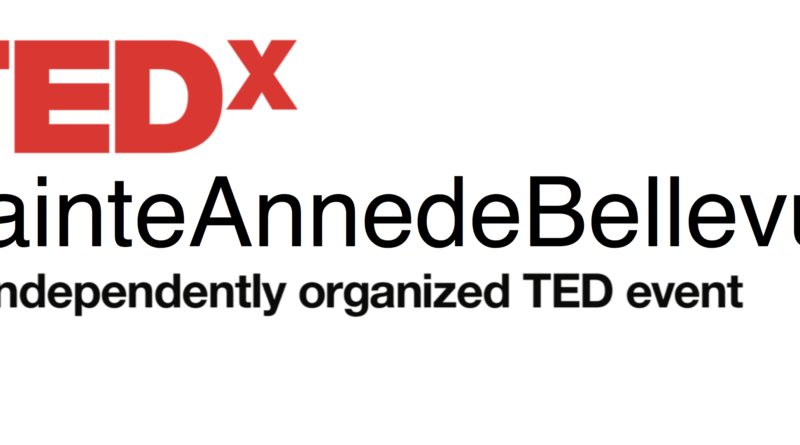 Fortunately enough, JAC students, and any one else interested, will actually be able to attend the first ever TEDxSainteAnnedeBellevue on September 15th! Organized by Daniel Lasalle Sutherland, Mitalie Makhani and their hardworking team over the past year, the conference hopes to highlight the West Island’s colourful spirit and to bring the community together. A TEDx conference, as opposed to a TED conference, is distinguished by the fact that it is independently organized, and places more of a focus on local voices in the community. At TEDxSainteAnnedeBellevue, these voices will be speaking under the theme of The Nonlinear Journey. In essence, the presenters will each tackle different topics and ideas and discuss the nonlinearity of their experiences and the unorthodox nature of their findings – they will inspire, surprise and make you think. TEDxSainteAnnedeBellevue has acquired a diverse variety of speakers with thought-provoking ideas to, as TED puts it, provoke conversations that matter and to share ideas worth spreading. The event will be taking place from 9:45 AM to 4:00 PM. More information and a link to purchase tickets can be found on the TEDxSainteAnnedeBellevue Facebook page.